Feel the energy of downtown when you live at 24Eleven Washington, located in one of Houston’s hottest areas, the Washington Corridor. Be at the center of excitement as you rent your luxury home between downtown and the Heights in a vibrant entertainment district with innumerable restaurants, craft beer taverns and music venues. These upscale apartments have a central location to enrich your life in Houston, TX. Live an urban lifestyle just outside your door—dinner at classic El Tiempo Cantina, followed by a show at Theater Lab Houston and drinks at Julep. Though in the center of the bustling city, you’re also only a half-mile away from the serene Memorial Park, known for its trails and greenspaces. 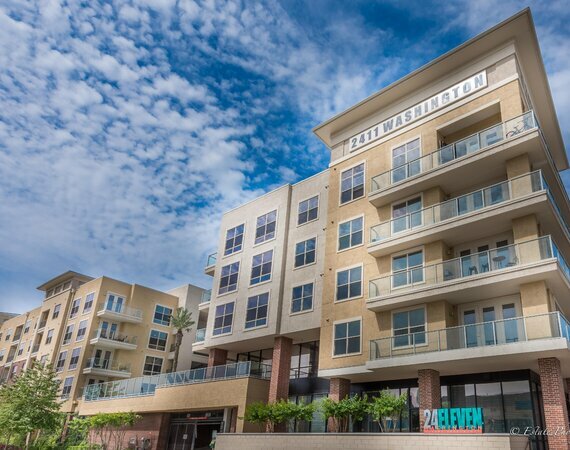 Situated near I-10, this community’s desirable location makes your commute a breeze. Call today for more information.